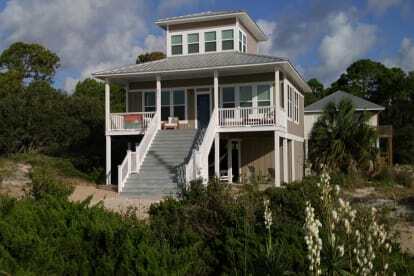 Don & I would like to welcome you to our St George Island vacation rental, SunCatcher! I discovered SGI in the early 80's on a college graduation trip with a friend who has family in the Tallahassee area. A week on St George Island was offered up and I said "why not?" Well, it was one of the best decisions ever made; this Iowa girl had never seen the Gulf of Mexico and it was LOVE at first sight! Many years and many travels later, SGI continued to tug at my heart so our little family finally packed up and headed to the beach. Needless to say, our children fell in love and an SGI rental became our excluive vacation destination for 10+ yrs. Thus, in 2016 Don and I decided to complete our bond with the island and purchased our dream home! We named her SunCatcher for her high, southfacing front deck as well as a personal reference to our stained glass hobby business. 2017 found us traveling to SGI multile times to prepare our house for guests. During that year we shared with family & friends and found out that plenty of people were falling in love with SGI and telling others about their experience. So in 2018 we made the decision to open our home to renting guests! Our home is fully stocked for our comfort as well as yours while you enjoy the charms of St George Island and the Forgotten Coast area! We are so very pleased to offer you this opportunity to kick back, relax, and enjoy!